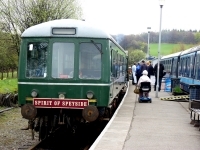 "Rome was built on seven hills, Dufftown stands on seven stills"
The name of Dufftown has become synonymous with Scotch Whisky, its famous "seven stills" having risen to nine since the rhyme was composed. 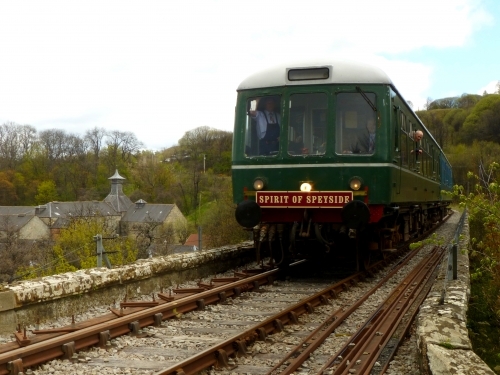 It has been said that Dufftown raises more capital for the Government per head of population than any other place in the UK. First licensed in 1823 Mortlach blossomed under the ownership of George Cowie who opened up new markets for its product as far south as London. William Grant spent 20 years at Mortlach as an employee before buying second hand equipment and setting out on his own to found Glenfiddich. 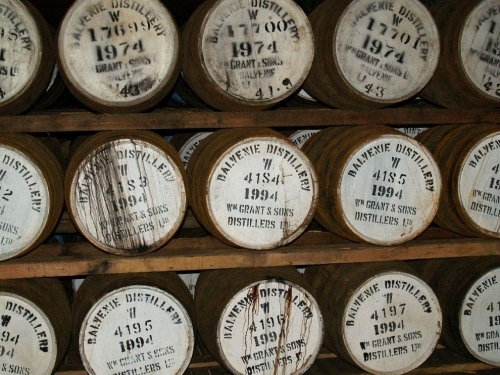 Balvenie is one of the few remaining distilleries to have its own maltings floor and grows a good proportion of its own barley on farmland around the distillery. It's nine stills have longer necks than their sister distillery and produce a distinctively different single malt. Convalmore was founded in 1894 but much of the original building was destroyed by fire in October 1909. On being rebuilt the distillery was used briefly for experiments in continuous distillation - a process similar to that used by grain distilleries. Convalmore fell victim to the widespread cutbacks in the industry in the early 1980's and closed for good in 1986. Convalmore's lovely old-fashioned single malt is still available in a limited quantity today, though possibly not for much longer. Built in 1894, Parkmore has been silent since 1931 because of problems with its water source. Although the maltings were in use until the late 1960's and the warehouses are still in use today. 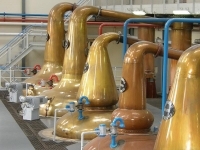 Parkmore's whisky is no longer available - it is reputed that all the casks remaining in the distillery were smashed when it closed. 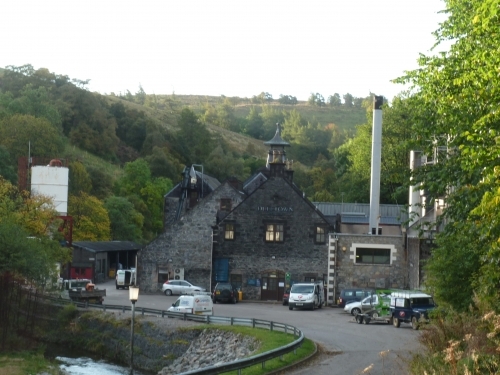 Just upstream from Parkmore is Glendullan - the last built of Dufftown's seven stills. 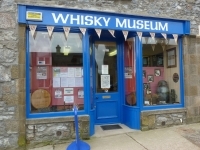 The original distillery had two stills. 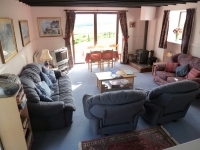 It has now been largely dismantled and was replaced by a new building next door in the early 1970's. 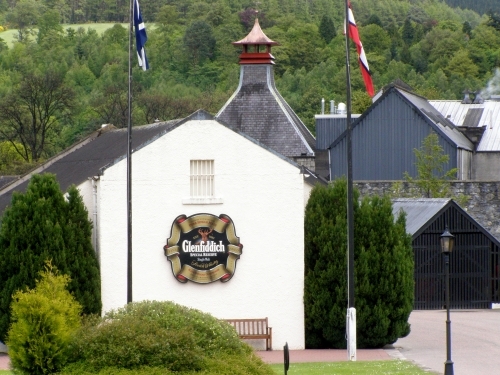 Glendullan's whisky is mainly used for blends but in recent years it has become available as a single malt. Dufftown distillery was started in 1896 by two Liverpudlian entrepreneurs in a former meal mill by the Dullan Water. Originally having only two stills, Dufftown was extended to its present six in the 1970's. Dufftown distillery's capacity was further enhanced in 1974 when its sister distillery, Pittyvaich was built in the same complex. Sadly Pittyvaich is now closed and has been demolished. 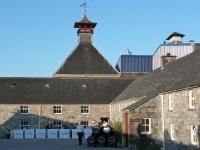 Kininvie distillery was built beside Balvenie in 1990 primarily to produce a different malt for the fast growing Grant's blend. Glenfiddich is quite a light malt and Balvenie quite heavy, so Grant's were looking to produce something in between to add to their blend recipe. Silent for the moment.